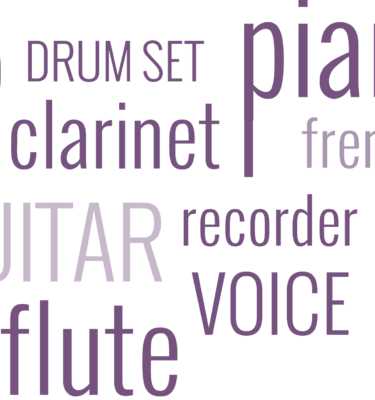 Villa Musica currently offers individual lessons in cello, clarinet, double bass, drum set, flute, French horn, guitar, piano (jazz and classical), recorder, trombone/trumpet, violin, viola, and voice. Please contact our front desk at admin@villamusica.org or call us at (858) 550 8100 with any questions. After we receive your registration, we will connect you with a teacher who we think will be a good fit. Then you and the teacher will find a good time for the INITIAL lesson ($35). We only schedule and invoice for this first “getting to know you” lesson so that you can make sure the pairing is a good fit. Then if you decide to continue, we will start the monthly tuition. Tuition is paid for on a monthly basis and is based on four lessons. If two students wish to share a lesson this can be arranged and the cost is shared evenly. Lessons will not be made up if a student cannot attend for any reason. If three students wish to share a lesson this can be arranged for 1 hour sessions ONLY. Tuition for a semi-private lesson is billed at the monthly tuition rate of $95 per student. Financial Aid is available for all classes at Villa Musica. To apply for a needs-based scholarship please visit our Financial Aid page or drop by the front desk to pick up a Financial Aid form. Villa Musica’s reputation for quality music education rests proudly with its ‘world-class’ faculty. All of our teachers have obtained advanced degrees in their specialization – many with Doctorates in performance, musicology or composition. Visit our Faculty page to read their bios.